James Comey appeared before the House Oversight and Judiciary committees. They’ve spent months directing their investigative firepower at the Justice Department, sparring with senior law enforcement officials over documents and raising questions about the Hillary Clinton email and Trump-Russia probes in what Democrats have decried as an effort to undermine special counsel Robert Mueller. 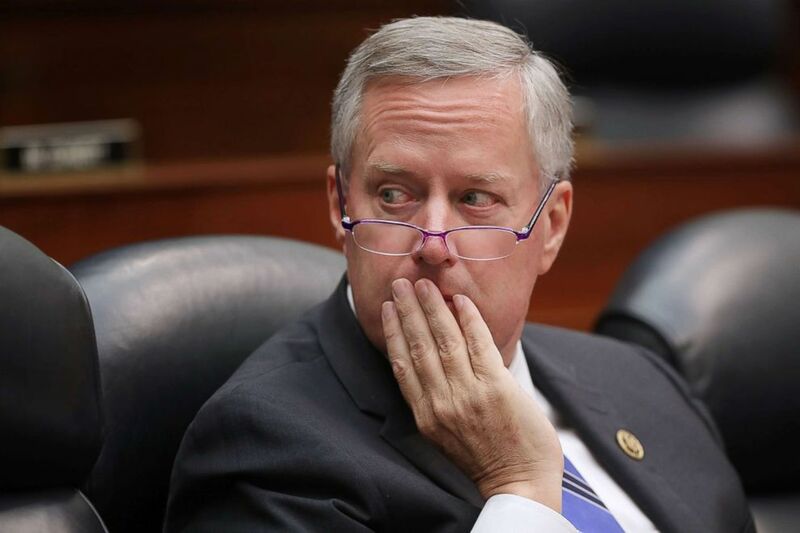 (Chip Somodevilla/Getty Images, FILE) Rep. Mark Meadows listens to testimony from Deputy Assistant FBI Director Peter Strzok during a joint hearing of his committee and the House Judiciary Committee on Capitol Hill, July 12, 2018, in Washington. The GOP-led Oversight and Judiciary investigation has culminated in a series of high-profile and contentious public hearings on the Hill: one featuring Peter Strzok, the FBI agent who helped lead both inquiries and sent provocative political text messages to a colleague with whom he was having an extramarital affair, and another with Deputy Attorney General Rod Rosenstein, a frequent target of Trump allies for his supervision of Mueller’s investigation. House Republicans have also raised questions about the government’s use of confidential sources and the surveillance of former Trump campaign aide Carter Page, including the materials used in the Foreign Intelligence Surveillance Act warrant applications approved by judges under the law. The House Republican investigation has continued despite the findings of the Justice Department inspector general, who concluded in a report last summer that the FBI’s controversial investigative decisions during the 2016 presidential election were not politically motivated, but did damage to the bureau’s reputation. “It would be prudent to get a report out before the end of the year but if we don't we can always issue it as a minority report that comes out unattached to a task force that will surely be dissolved,” he said. “These are the last gasps of the GOP fishing expedition into Hillary Clinton,” Rep. Raja Krishnamoorthi, D-Ill., a member of the House Oversight Committee, told ABC News. “There’s more news coming out every single day about the Russia investigation,” he said, referencing new reports. “I’m going to start with the FISA warrant process and see where that takes us,” he told reporters.